One of our favorite Noodlehead patterns! It’s fast, fun, and is a great way to show off your favorite fabrics. It’s called the 241 tote because it’s like two patterns in one. 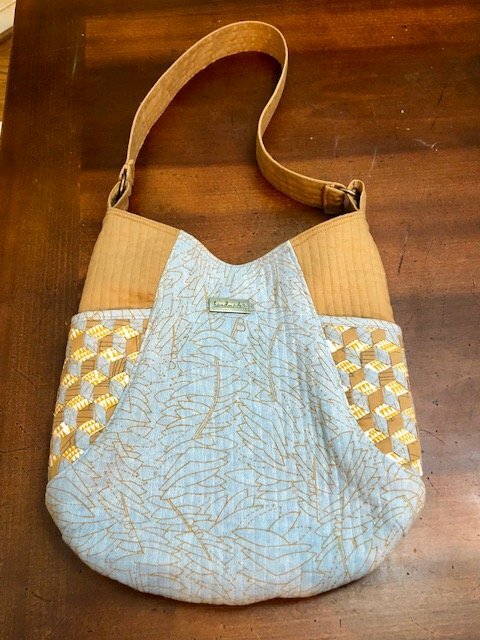 Options in this pattern gives two exterior pockets (great for a beginner) the other has two exterior zippered pockets (good for those who want a challenge).